We are glad to present updated Buy/Sell page, a service that simplifies buying and selling cryptocoins on CEX.IO exchange. 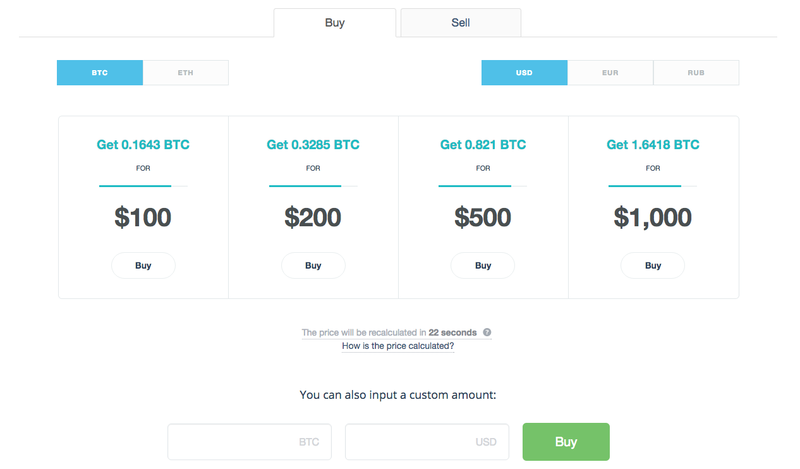 This interface is specifically created for you to buy Bitcoins and Ethers instantly for USD, EUR, or RUB, and sell them at any moment. To start using this service, make sure to fund your CEX.IO account using your ordinary Visa/MasterCard, via bank transfer, or deposit cryptocurrency. Thereafter, choose a bundle that suits you most, specify buy or sell operation, and the currency. Note that you can also input a custom amount. Prices of all bundles depend on the current market price and are recalculated every 120 seconds. If you decide to sell Bitcoins or Ethers for USD, EUR, or RUB, you can use the linked card to withdraw your funds to.